The Aspire Pockex Kit is a small and compact all in one vaping device designed by Aspire. Featuring a 1500mAh battery and built in tank, this kit is a winner for all you vapers that prefer a smaller yet powerful device. With its leak resistant design and easy use, this product is very convenient to disassemble for cleaning, coil replacing and refilling. 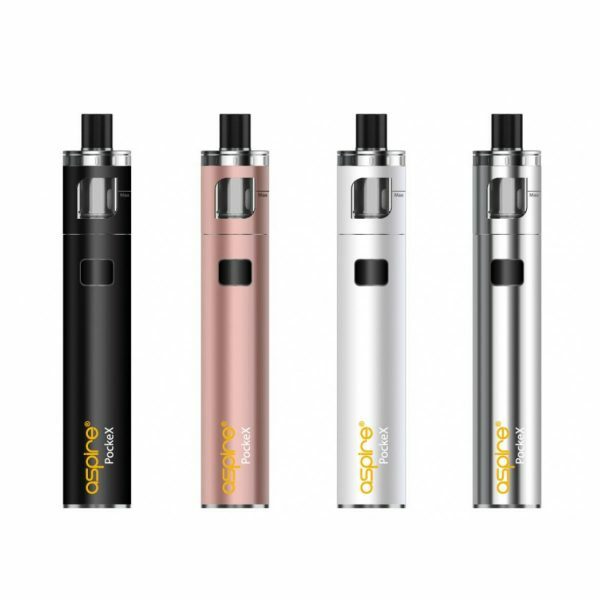 The Aspire Pockex kit is very modern in its design and also in its innovation, capable of running multiple coils. For those of you who favour a mouth to lung vape, the Aspire Nautilus X coils are compatible, as well as the 0.6oHm Aspire Pockex Coils for the lung to mouth vapers.